By 2020 There Will Be 30 Billion Connected Things! 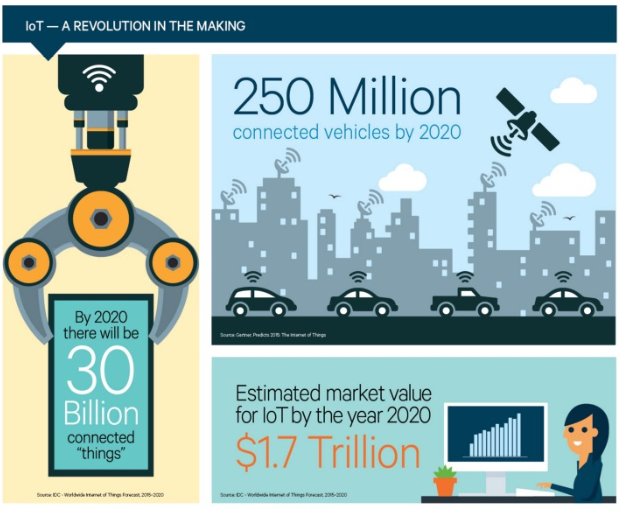 By 2020 there will be 30 billion connected things, according to a new infographic by Cloudera. The company believes that the Internet of Things (IoT) could be an extremely disruptive force in society, basically changing everything, according to Vijay Raja, Sr. Solutions Marketing Manager for Cloudera IoT. Despite the name, IoT is less about things and more about the data that these things will be generating, with data streams in real-time that will need to be processed, calculated and computed into action items for both other things and humans.